Lifesaving decisions and collaborative, compassionate care contributed to a successful emergency cardiac surgery. For Bryan, the timing could not have been better. Just three days after the cardiology services of the Westchester Medical Center Health Network (WMCHealth) expanded to include network affiliate MidHudson Regional Hospital, he found himself in need of the network’s expert diagnostics and lifesaving emergency surgery. On Sunday night of Labor Day weekend, Bryan, an electrician, became extremely weak. “Every time I would sit up in bed, I couldn’t breathe,” says Bryan, whose last name is being withheld for privacy. When the decision was made to go to MidHudson Regional Hospital, “I couldn’t walk down the stairs,” says Bryan, adding that he had to be carried by his father. Suspecting life-threatening heart disease, Dr. Hanna requested an urgent echocardiogram. Echocardiogram Technologist Erin O’Connor was called into work but was then asked to hold off because Bryan’s health was too precarious for the exam. O’Connor’s dedication, however, urged her to keep traveling to the hospital. When contacted again moments later and asked to come in, she already was on her way — a decision that saved crucial minutes. Dr. Hanna was at the bedside as the study was performed. The diagnosis and decision for urgent surgery were made immediately. The test results were clear: the mitral valve of Bryan’s heart had been destroyed by an uncommon condition known as infective endocarditis, and blood flow through his body was dangerously insufficient. The mitral valve closes off the heart’s upper left chamber, which collects oxygen-rich blood coming from the lungs, and opens to allow the blood to pass from the heart’s upper left side to the lower left side. It’s critical for proper blood flow. Dr. Hanna called upon the trusted, life-saving knowledge of the WMCHealth Network. He alerted WMCHealth’s patient-transfer service and was put in touch with Masashi Kai, MD, cardiothoracic surgeon at Westchester Medical Center in Valhalla, the flagship of WMCHealth. “Bryan’s blood circulation level was not enough to sustain his life,” Dr. Kai says. 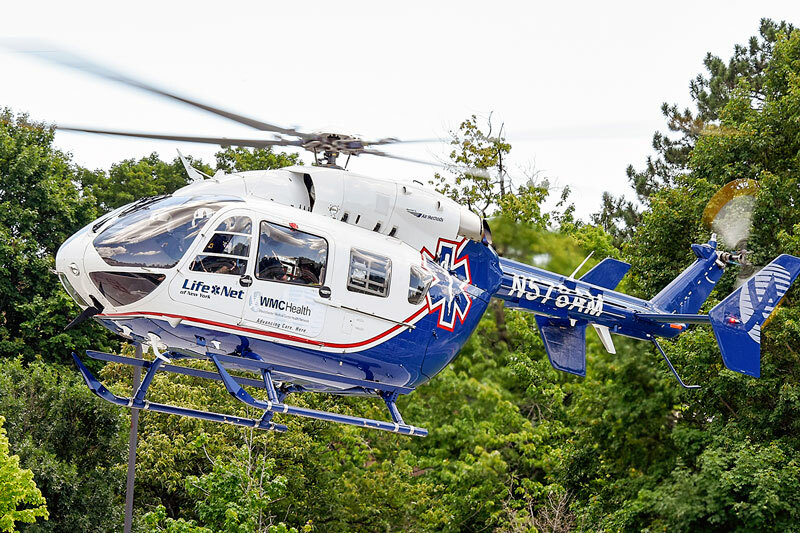 Minutes later, Bryan, unconscious and receiving maximum ventilator support to help him breathe and multiple medications to support his precariously low blood pressure, was on a helicopter for the 15-minute flight to Westchester Medical Center. 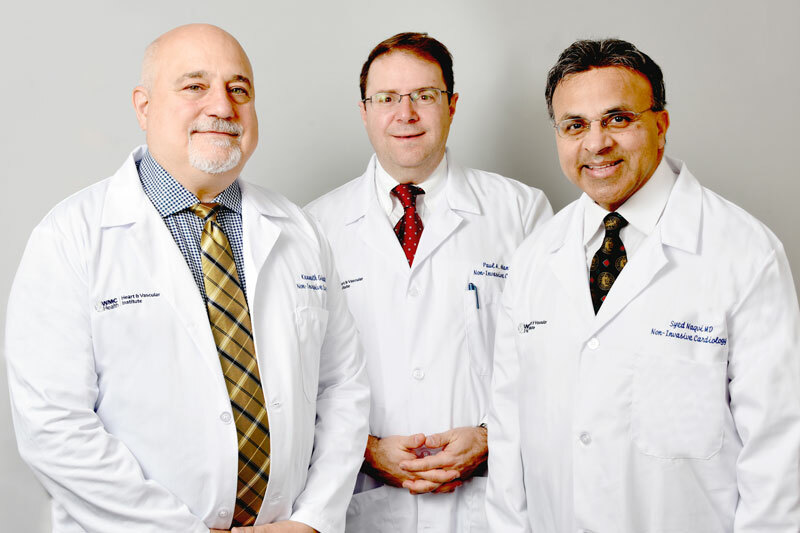 Paul Hanna, MD (center) with fellow MidHudson Regional Hospital cardiologists Kenneth Giedd, MD (left), and Syed Naqvi, MD (right). As he learned more about the circumstances, Dr. Kai determined that surgery was Bryan’s best option. “He was young, and his heart was very bad, but he didn’t have other significant medical history,” he says. “I believed if I was able to fix the heart, everything else would get better.” During the three- to four-hour surgery, Dr. Kai viewed the extensive damage to the heart. He noted it was the most severely damaged valve he had seen in his 15 years as a cardiothoracic surgeon. Implanting the new mitral valve took about an hour. Once in place, Dr. Kai says, Bryan’s condition quickly improved. With three cardiologists on staff, the WMCHealth Heart and Vascular Institute’s new Division of Cardiology at MidHudson Regional Hospital is committed to providing the highest-quality comprehensive cardiovascular care to residents of Dutchess County and the Hudson Valley close to home, in the communities where they live. To learn more about cardiology services now available at MidHudson Regional Hospital, please call 845.483.5720.